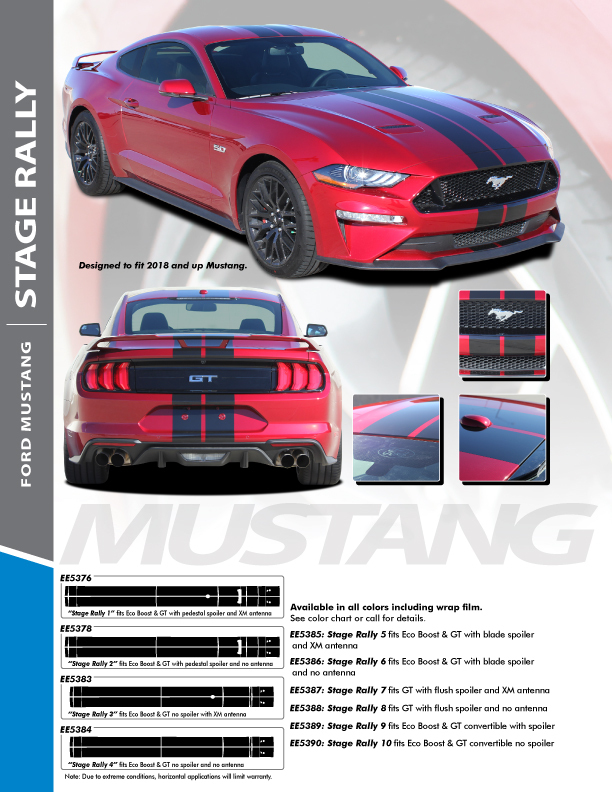 The STAGE RALLY with the Lemans style Ford Mustang Convertible Racing stripes with pinstripes looks great and is in stock! If you do own a Ford mustang then you have a pretty cool looking car on your hands, but how much cooler would it look with top quality 2018 mustang racing stripes? RAT has 2018 Convertible Mustang GT Decals STAGE RALLY 3M 2018 2019 Ford Mustang Stripes, Mustang Decals, Mustang Side Door Stripes, Mustang Racing Stripes.